Free fairies are everywhere. You just have to look for them. I’ve managed to uncover some of the best and brightest. The sample faerie is a wee li’l box full of trial sized items. There’s Birchbox and Ipsy, if you’re into beauty products and $10 a month. This doesn’t intrude into your budget. Fill out a few questions about your interests and likes. Select the contents of your box. New boxes come out at the end of the month. It will take about six weeks to recieve your first box. You only get a box if you request one. You need your emails to tell you when a new box is available. My first box contained two bags of dry cat food, hand lotion, shower gel, tide pods and a new sponge by 3M. Unlike the iBotta in my previous post, I don’t benefit in any way from signing up. 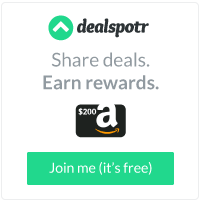 I’ll be posting other earn money while you shop apps in another blog post. I’ll also be discussing in depth how to get brand new items from Amazon at no charge. I’ll also be discussing ways to reduce your spending by 25%. Here’s a sneak preview of the Gucci boots I was able to buy for myself for $7.